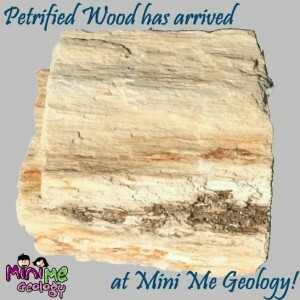 Mini Me Geology Blog » Petrified Wood has arrived! Mini Me Geology is excited to announce the newest addition to our family of rocks, minerals and fossils: PETRIFIED WOOD! Our petrified wood samples are introductory priced at $3.00 through January 25, 2015 so grab your samples today!